I’m a truthful person I’ve been taught to always be honest but never cruel, to be appreciative and not take things or people for granted. To always speak from my heart instead of inventing a lie. There’s one lie I’ve told myself is that I’m fine. I’m really not when I say that, it’s a easy way of letting the world know I have it together. I am a kind and loving person and I’m raising my children to be this way as well. I teach them to tell the truth, and to let them know they can tell their parents anything. I give them the opportunity to tell the truth first then give consequences if they’re not honest with me. I don’t want them to think it’s ok to tell me they’re fine when they’re not. Or that “I didn’t do it”or “I don’t know broke” the lamp. We tell ourselves these lies because it’s hard to face the truth sometimes. But even though it’s an old cliche the truth will set us free. There’s nothing to remember when you tell the truth, there’s nothing that needs to be created when honesty is the best policy. I’m dealing with a situation right now of lies being told. I have given the opportunity to hear the truth but wasn’t given that respect. So now there are consequences and disappointment. Why do we have to hide behind a mask of untruths instead of just being honest? Why does it feel better to lie and make ourselves feel better than ripping off the bandaid and exposing ourselves? It’s easier to hide behind a facade then to be real with ourselves. This is a foreign concept for me as I was taught the truth is a positive way to live my life. To be lied to is to be disrespected, and the hurt that arises from that is crushing. I don’t need to build myself up with a house of cards where the truth is distorted and I can’t tell what is real or what is not. Whether it happens sooner or later that house of deception comes crashing down around you. Be real, it’s the only way to feel good about yourself don’t build yourself up into being someone you don’t recognize or respect. I’m going to start taking my own advice when people ask me how I’m doing I’m not going to say fine. I will tell the truth I’m happy the sun’s shining, I’m struggling but I’m finding a way to cope. I owe it to myself to speak the truth and not hiding behind a mask I’ve created out of fear. William Shakespeare is one of my favourite poets and playwrights and he spoke the truth when he created this simple but profound quote. It’s time for #Mondaymusings and all you have to do is this list of things. 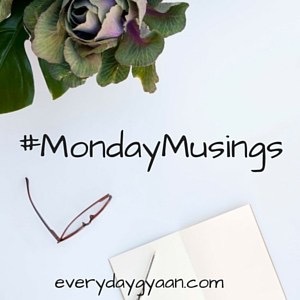 Use the hashtag #MondayMusings and link to this post. 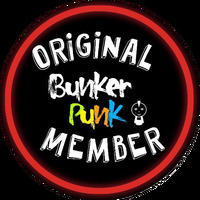 Add your link to the linky which you will find either here and on the post of a co-host. Use our #MondayMusings badge to help other bloggers join in too. Sounds like a tricky situation. I’m glad you’re committed to truth, and that you’re teaching your children the importance of it. I still remember how scared I was when I first intentionally told a lie. I remember how elated, too, when I got away with it. I got caught in a lie not long ago and it was a mess, all of my own making. So yeah, honesty probably is the best policy. This resonated hard with me as someone who literally lived a lie (presenting as female) for three decades. Yes, in some ways the lie was easier, and there are times when being my true self is hard and I find myself back at that crossroads in my mind again, wondering whether I should just go back the other way. But then I imagine what that would actually be like, and it’s unthinkable. I thought they were very applicable here. Once again, great post Jeanine! A very honest post. I was having a discussion with a friend on FB on double lives led by people. Truth is a very important aspect of one’s life and though a tricky road, it always leads to fulfillment. It may be a tough road but truth ultimately helps the battle of life. My Mom always said be careful if you choose to lie…it’s complicated and you have to remember that lie so when you need to repeat it, you get it right. A bit convoluted, perhaps, but she makes a good point. I’ve seen the Monday Musings go around but never knew what it was. I quite like this because I never know what the heck to write on Monday to start the week. Thanks, I’ll think about doing that!